Over the years many Lamborghini Miura restorations have passed through our doors. Since we currently have 2 Miura projects in-house, an engine rebuild and a complete ground up restoration, we thought we’d take the opportunity to share the journey for anyone in the midst of a restoration or contemplating taking the plunge. 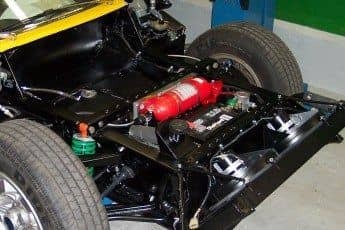 We’ve previously blogged about Lamborghini Miura restoration (wheels) , about adding an essential fire protection system in the engine compartment, about Miura engine rebuilding and about restoration work in general. The Lamborghini Miura is the original production super car available for sale to the public (If you can call rock stars, movie stars and industrialists public). 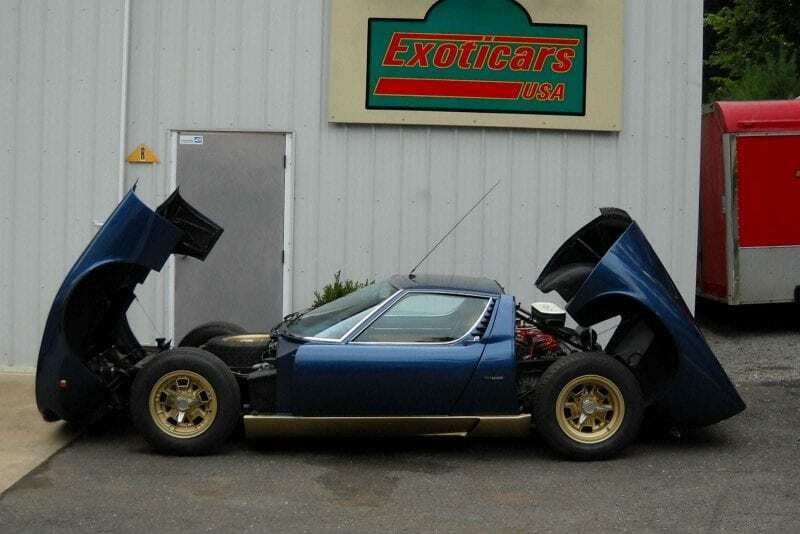 The body profile appears to have been borrowed from the Ford GT40 racing car (which was really a Lola) and the drive-train seems to have been influenced by the Austin Mini with engine and gear box sharing the same oil. The 4 liter V-12 literally has to be shoe-horned in and out of the car it’s packed in there so tight! The engine is fed by 4 Weber carburetors having 3 throats each which basically means it has one carburetor for each cylinder with separate adjustments for all twelve throats and all must be tuned and synchronized like an orchestra. The ignition system is similarly complicated. The engine has two ignition coils and two distributors. Each distributor has two sets of breaker points (mechanical switches) and its own mechanical ignition advance mechanism. All this equipment also needs to be perfectly adjusted and synchronized to make the right music. Lamborghini Miura S ground up restoration projects.